The ODB Brussels (ODB) has commissioned a survey about perceptions, preferences, and values Belarusians attribute to the European Union (EU), and the Eurasian Economic Union (EEU) in order to contribute to open and objective debate on the relations between Belarus and these two regional blocks. Perceived rivalry and strategic overlap between the EU and the EEU are becoming more pronounced. Public reasoning however is currently swayed in favour of economic cooperation with the EEU. Belarusians have started to view the European Union and the Eurasian Economic Union as opposing entities, have taken to liking European values more than they did in 2013 and are more wary of the country's energy dependence on Russia. If one of the neighbouring unions becomes more active in their 'struggle for Belarus", the population may become very polarized. These conclusions were reached in the third national survey on integration preferences of Belarusians. Guests of the new edition of "Amplituda" programme discussed the survey findings. The Office for Democratic Belarus (ODB) has commissioned a survey about European and national values in Belarus in order to contribute to the debate on the relations between Belarus and the European Union (EU) from the public’s perspective. 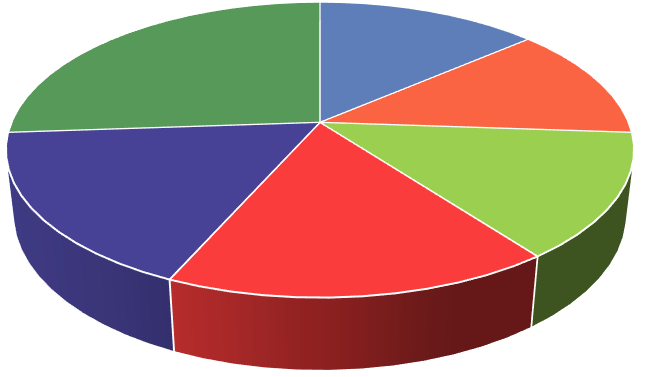 The nation-wide representative survey was conducted in Belarus between 20 May and 4 June 2013 focusing on the country’s relations with the EU and the (Eurasian) Customs Union (ECU); as well as public perceptions, values, and attitudes towards the afore-mentioned entities. Professor Elena Korosteleva from the Global Europe Centre at the University of Kent was commissioned as principal investigators to undertake the survey in Belarus. 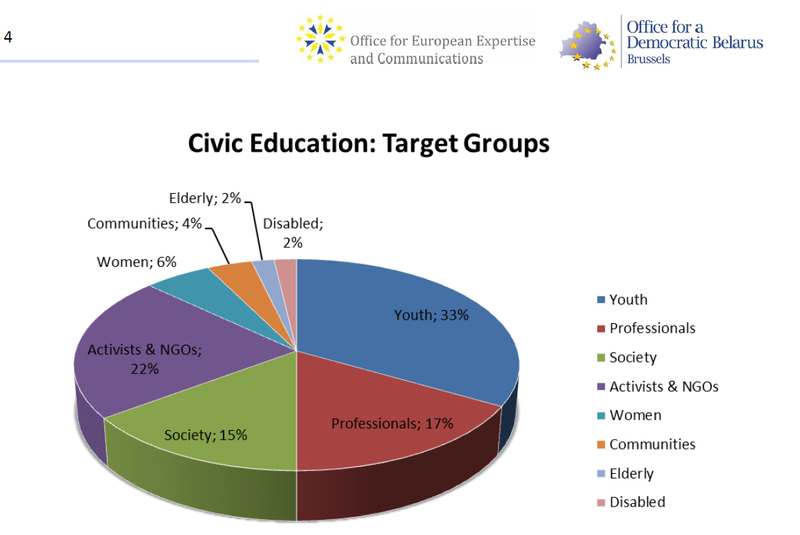 The Office for European Expertise and Communication (OEEC) in partnership with the Brussels-based Office for Democratic Belarus (ODB) launches a series of sectoral overviews with the goal to examine capacity of Belarusian civil society organisations vis-à-vis a number of identified sectors. The overviews foresee collection of data on activities of and services offered by civil society organisations (CSOs) and other stakeholders within each given sector from various sources. The sectoral overviews will take into account the existing monitoring and evaluation results, expert opinion, stakeholder feedback, statistical and polling data as well as qualitative assessments.